At home Buick and other GM marques operated virtually independently in the earlier years. Outside North America it was quite different. From the formation of General Motors Export Company in 1911, this single entity sold, marketed and managed all GM marques overseas. “Buick, Across The Pond and Beyond” tells the story of Buick mainly in the United Kingdom, Europe and Scandinavia from the outset through to World War II. These were Buick’s golden years “Across the Pond”, when beautiful and elegant body styles, quite different to the American designs, were fitted to Buick chassis. Many of them were authorised, often marketed, and even sometimes built by GM in their overseas plants. Reference is frequently made to GM and other GM marques as it is often difficult to segregate the Buick marque because of GMO’s single entity management. McLaughlin built models are shown as Canada supplied Great Britain and Flint built models are also shown as they were supplied to Europe and Scandinavia. Model ranges were selected according to market requirements for each country including locally designed and built body work not seen in North America. 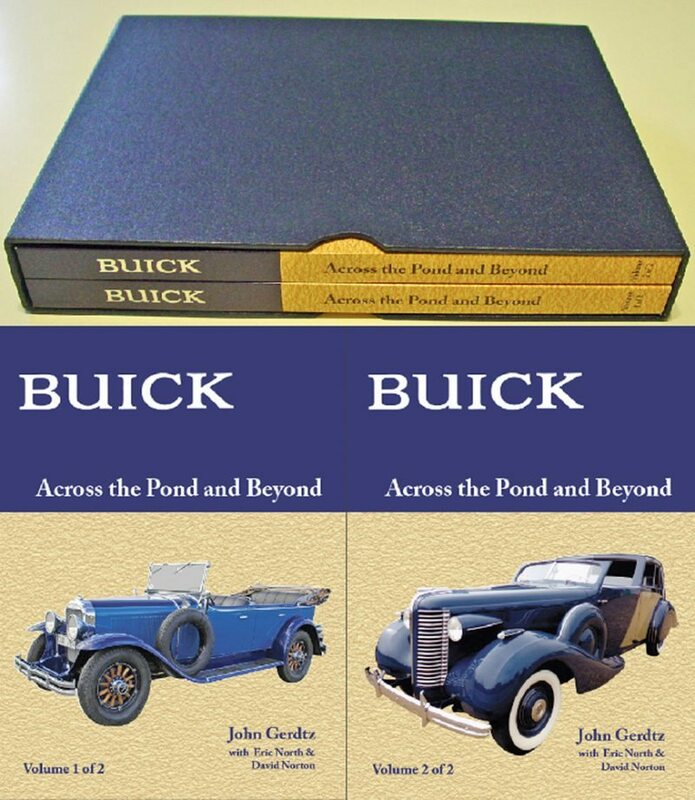 Published in association with the Buick Club Inc in NSW and over six years in research and writing, this lavishly illustrated work of over 600 pages with 100+ in colour on glossy paper, is in two volumes in a fabric covered slip case. eMail enquiries to – email@buickclub.org.au – phone enquiries to John 02 9629 7957, Price AUD $125 + p&p $15 anywhere in Australia. Mastercard & Visa accepted through PayPal only. Ask about Australian Buick Club membership discount.